Paso Robles is known for its rich diversity in soils, superb growing climate & unparalleled beauty. Destiny Vineyards produces world-class intense wines from its hilltop and mountain-grown fruit, with a worldwide-recognized brand from such wineries as ‘Hunt Cellars’. 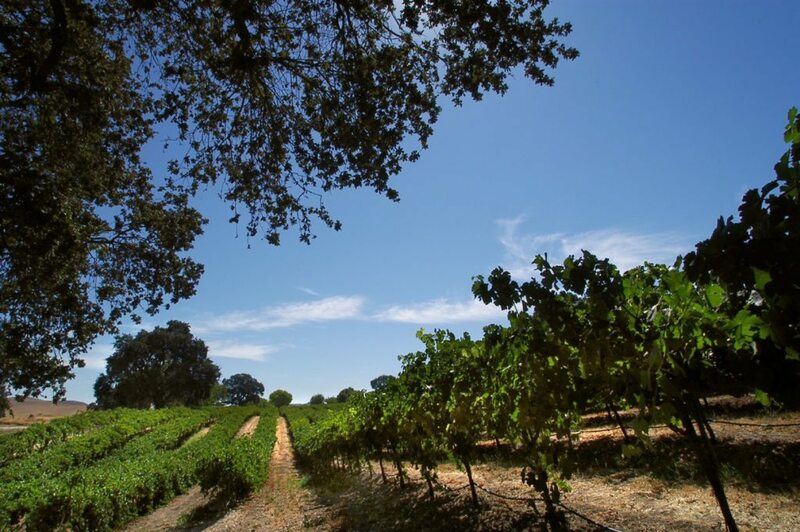 This Paso Robles vineyard has become one of the most highly acclaimed wineries in California, with numerous prestigious awards, thus making the best California red wine on the West coast. With over 550 acres, 60 are producing acres, offered along with 20,000 sq ft of wine facilities, 2 cottages, 1,300 sq ft metal shop and 3 wells. Destiny Vineyards is located in the foothills and mountains of the Wold Famous Paso Robles wine growing region, along the scenic coastal route to Cambria, Hearst Castle, numerous wineries and other beach communities. The soils are white calcareous to sandy loamy and feature great drainage with limited clay stratus to perfect the varietal intensity. There are numerous soil terriers and elevation differences throughout the property which create unique flavor differences and distinct varietal character in the wines. The weather is amazing with the perfect heat thermos that produce $100 Cabernets to $140 Hilltop Syrahs. This unique, self contained, micro climate will start with hints of morning coastal fog, a gradual warm up and by late morning to noon hit the perfect heat and breezes to ripen the fruit to perfection. The white reflective soils help ripen the clusters from the bottom and enhance the concentration of the wines. This magnificent vineyard features mountain top mesas, gentle up slopes and more rugged terrains with 50 or more mile views from the top, simply breath-taking. The vineyard floor starts at around 1,450 feet in elevation and goes up over 2,400 feet in elevation. The topography is absolutely perfect to tie miles and miles of wine caves to the production facility as well as to the private restaurant and estate. On a typical summer day the temperature will hit the 90’s or more but the 5:00pm or so the refrigerator door from the Morrow Bay an Templeton Gap, swings open to chill down the countryside. The weather will swing over 50 degrees during the growing season which lets the vines shut down, relax, and produce such distinguishable varietal characters. This vineyard’s weather patterns are compared to St. Helena and parts of Calistoga in the famed Cabernet region of Napa. The Paso sweet water helps perfect the wonderful varietal flavors produced at Destiny Vineyards. The world Class vineyard is blessed with incredible soils, sweet waters, and micro climate no other vineyard has. The Hunt Cellars, Destiny Vineyards brands, are sold in the finest of restaurants and most prestigious locations in the country such as: Ruth’s Chris Steak Houses, Del Frisco’s, Four Seasons, Ritz Carltons, Roy’s, Fleming’s Steakhouse, The Broadmoor Resort, Alfreds, The Wollensky’s, The Luxor, Brix, and many more. The Cabernets, Merlots, Syrahs, Sangioveses, Zinfandels, Saugignon Blancs and Ports get the highest of prices of any vineyard in Paso Robles and pretty much the entire Central Coast. Plans exist for potential multi-suite villas or casitas with world-class restaurant on approximately 10 acres with pools, ponds, putting greens, etc. A private land strip and/or helicopter pad can easily be established. Endless possibilities await your imagination for this legacy!